Experience the most amazing #1 rated Siesta Key beach views on the Gulf of Mexico from the 15th floor of the Terrace Building in Siesta Key Village! Hands down, best location with the best views! 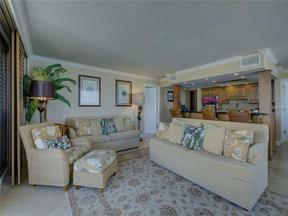 This home away from home 2 bedroom 2 bath condo with almost 1,187 sq. 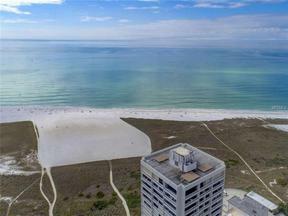 ft. being almost 1/4 of the entire 15th floor is located right on Siesta Key Beach and in Siesta Key Village with gulf views, bay views, city light views, Big Pass Lido Key Beach views. Gorgeous heated swimming pool overlooking the ocean, game & gym room, community room, assigned covered parking, and 24 hour locked entry. This 2 bedroom, 2 full bath unit has a kitchenette equipped for basic meal preparation with solid stone counters, wine refrigerator, two burner stove top only, dishwasher, microwave/convection oven combination, small built-in drawer refrigerator/freezer and breakfast bar with seating for 4, as well as a dining table for 4 right off the kitchenette. This unit is not designed for complex meal preparation so use this as an opportunity to dine out for your more complicated meals, order in from one of the many fine local restaurants, or contact us and we'll put you in touch with a private chef so you can eat gourmet meals catered specifically to your palate when you wish. Enjoy life's pleasures with the sunny skies, mild temperature, the quartz sand that never gets hot and be sure to stay home nightly for a front row seat to the world's best sunsets. A different performance nightly!